Gillmoss L11 Deep Carpet & Rug Cleaning Company | Quality Property Care Ltd.
Bring back your gorgeous rugs with the assist of a professional carpet and rug cleaning company in Gillmoss L11 Has your gorgeous rug lost its vivid colours and looks worn and dull? There easy and quick solution for you. Quality Property Care Ltd., a carpet and rug cleaning company which offers professional residential and commercial carpet and rug cleaning in Gillmoss L11 and the region. 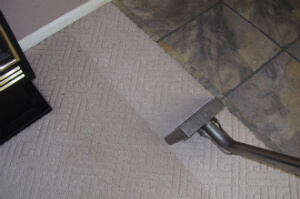 The carpet and rug cleaning services are delivered with the latest cleaning technologies and safe cleaning solutions. The professional carpet and rug cleaning team offers carpet spot and stain removal, shampoo carpet cleaning or dry foam carpet cleaning for all sorts of rugs and carpets . Trust the trained and vetted cleaners to deliver you excellent services at the best rug and carpet cleaning prices in the area. Call the professional client service line or send an online require for a free quote, and you will get an offer in 2 hours! When it comes to rugs we clean Persian Rugs Chinese Rugs Wool Rugs, Tibetan rugs, area rugs, handmade rugs, shaggy rugs, silk mix rugs, Indian rugs, Play Rugs Turkish Rugs Egyptian Rugs, antique rugs, floor mats, entrance mats, logo mats, industrial mats, rubber mats and anti fatigue mats. The modern rug cleaning Gillmoss L11 approaches are now affordable and accessible! Quality Property Care Ltd. is a reliable and widely recognized professional rug cleaning company. It has more than TEN years of rich working experience in the field. Through the years, we have used the best rug cleaning techniques. They are customized for effective and faultless carpet stain and spot removal, as well as to main domestic rugs in top condition. We promise you to restore and brighten any carpet! We are real experts in stain removing. Keep in mind that we can take out the following kinds of stains: oily stains, paint, rust, tea, coffee, blood, vomit, wine, moth damage. To ensure proper cleaning approach for each carper or rug type, the well-trained and educated carpet cleaners are instructed to examine it at first. 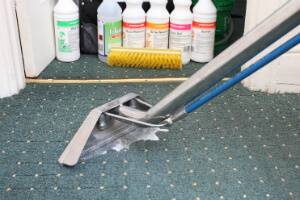 If you are in Gillmoss L11 or the region and you require professional residential or commercial carpet and rug cleaning, mattress cleaning, bed bug mattress treatment, blinds cleaning, curtain cleaning, drapery cleaning, or a combination of 2 or more of these services, all you have to do is call the client care service at this number 0151 673 0008 or complete and send the online booking form, and you will receive written confirmation via e-mail and sms as soon as possible! Same day reservation is possible, as well as booking on bank holidays and weekends without any price increase. Book your professional carpet and rug cleaning service now!